Do you need a workshop about the five methods every UX practitioner should know? Email us at info@uiuxtraining.com. At UI UX Training we often receive questions about how to get started in user experience. Our guest post about 15 Essential UX Skills Designers Need Today addressed many of these questions. Here we delve more deeply into 5 UX methods that UX practitioners should learn as they build their skillset. A heuristic evaluation is a UX expert’s assessment of a device, site, console, mobile app, anything that incorporates design. This method does not involve users. Rather, the UX expert examines each aspect of the design to determine if it adheres to best practices for content, navigation, interaction, usefulness, and visual presentation. Heuristic evaluations can be conducted by one or several UX professionals. A small team of two to three UX professionals is ideal. More than one perspective is useful while a small team can efficiently discuss and resolve differences of professional opinion. Reviewers often rate adherence to each heuristic on a scale (percentage, 1 to 5, severity such as low, medium, and high). 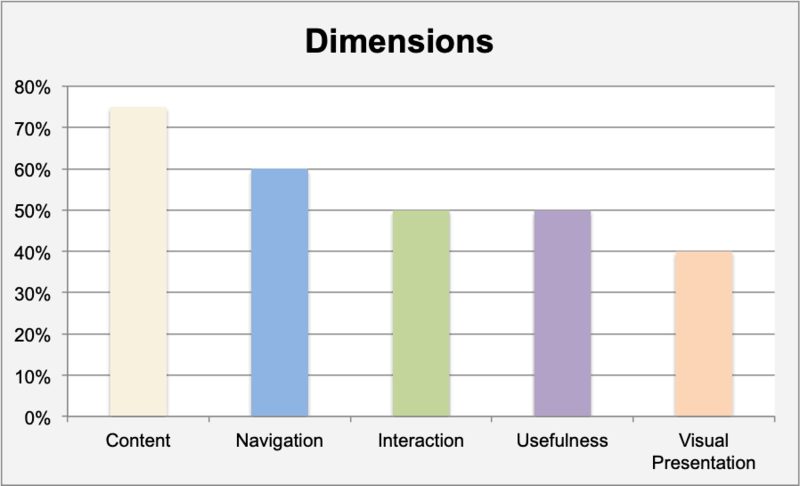 The chart below shows a compilation of reviewer scores by dimension for a piece of internal-facing software used by a government agency. As a prelude to conducting UX research or usability testing. A UX professional can quickly identify problems that are easy to fix but that could also distract users during testing or research. By eliminating these distractions before users see the product, those conducting research or testing can concentrate on more important issues. When there is insufficient budget for extensive UX research and a subsequent design or re-design. In such cases, an assessment by a UX professional identifies critical issues that must be addressed before release as well as important issues that, if addressed, will substantially enhance the user’s experience and contribute to strengthening the company’s brand. Contextual inquiry refers to a combination of observation and interviewing. The ability to listen and observe long before asking questions. Indeed, that is the point. As you listen for tension, pauses, and the user’s explanations of how she works, you can more easily refine the questions you will pose during the interview portion the contextual inquiry. Careful observation: Watch for problems, pain points, and workarounds. 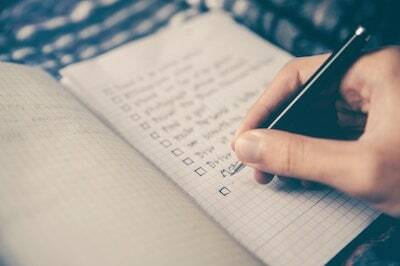 With permission, take photos of artifacts (post-it notes, cheat sheets, checklists, alarms, reminders) that users leverage to complete tasks and solve problem. For example, while conducting visiting several sites for a government agency we discovered a key pain point for government caseworkers, the difficulty of finding an applicant’s ID. This pain point played a key role in our re-design of the software for this agency. Photos and video: After observing and establishing rapport with users, casually ask permission to take photos. If granted, photograph artifacts such as the post-notes and checklists mentioned above. Video is not always necessary but is definitely useful in certain environment. For example, while conducting contextual inquiry with operators of earth moving equipment, we used video tor record operators hand, head, and foot movements to better understand how they operated the machines, and which controls they used most frequently. The interview: In the field interviews often range from highly formal to nearly spontaneous. At UI UX Training, we’ve conducted interviews in executive suites, conference rooms, cafés, and picnic tables. It’s all about timing and access. As explained above, observation and listening should come first. In the end, however, field work requires flexibility and a willingness to jump into an interview when the opportunity emerges or, in the case of our field work in Latin American, jump onto a truck. The next day, however, was a disaster. Same user, same software, same business, same location. Everything was the same except the day of the week, and that single variable made all the difference. In Spool’s own words: “Unbeknownst to us, we had stumbled into a service design problem.” This happened years ago, and service design is now well established with well-tested techniques. The overarching point remains, however. Without contextual inquiry, Spool and team never would have discovered the most important variable in this user’s experience, the day of the week. A persona is a researched-based representative of a single user group. A persona includes some of the same information as a marketing profile such as photos, a representative quote, and demographics. But, that is where the similarity ends. Personas focus on what the user’s work-related knowledge, comfort with tools or software, what motivates them, and what they need to accomplish. 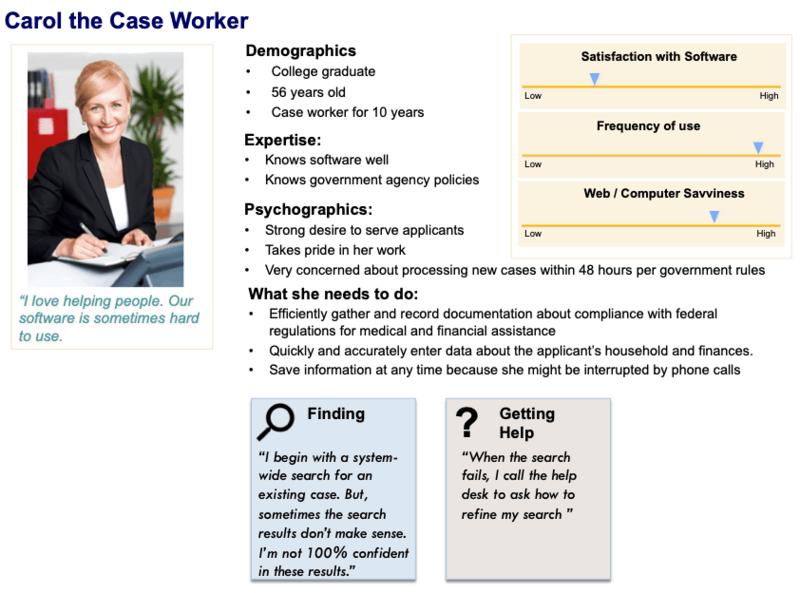 Drawing on user research, UX practitioners list information by category with an emphasis of psychographics, what the persona needs to do, and a quote (under the photo) to capture an important aspect of the persona’s attitude and basic needs. The persona listed below is a generic version of the persona we created based on visits to several government agency sites. John prefers to conduct all of his banking online. He needs to open checking and savings account and is seeking a bank that will make it easy to setup and monitor his accounts. Marcella is a diabetic and an executive who travels internationally to visit various corporate offices. She needs a robust and intuitive mobile app to record and track her blood sugar. This app must include messaging and connect to her health records so that her doctor can monitor her blood sugar and insulin intake and communicate with her while she travels. Scenarios are often identified by examining user research. For example, after conducting contextual inquiry at several sites, we discovered a common scenario. Carol (the persona shown above) was required to process applications for government assistance within 48 days of receiving the application. She carried a heavy case load while also mentoring new hires. Unsurprisingly, she struggled to meet the recurring 48-day deadline. This single scenario shows the power of contextual inquiry. As author and well known designer Kim Goodwin says: “Personas without scenarios are like characters with no plot.” She’s right, of course. A persona is less likely to register with clients and decision makers without context. Enter information into the system and submit to a supervisor for approval. Make corrections as requested by a supervisor. Literally diagraming how users currently complete a task makes it easy to identify gaps. The diagram below shows 9-step the task flow for entering information before we re-designed the software. 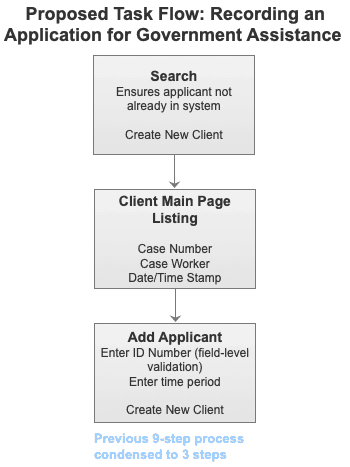 A new task flow often streamlines the process as shown below in our proposed three-step flow. Task flows are not glamorous, but this method saves considerable time when drawing wireframes because the sequence has already been established. 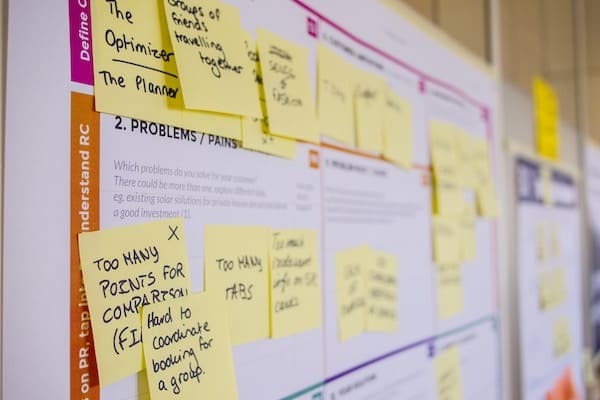 A well-researched journey map is useful because it provides a thorough and holistic view of the customer’s various touch points with your organization. Note the emphasis on holistic. In contrast, a task flow is not holistic but intentionally granular. 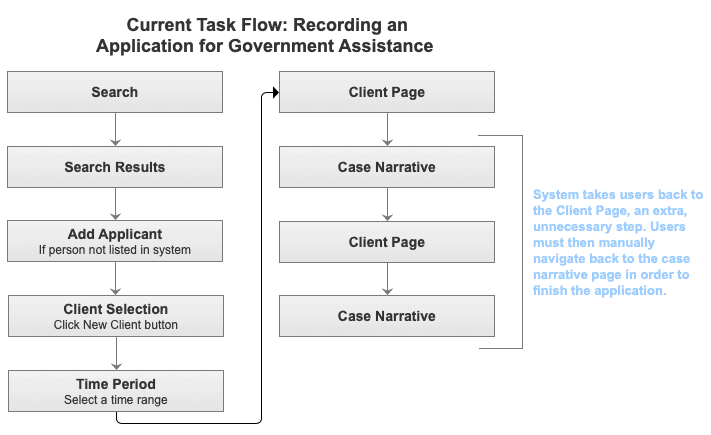 A task flow shows the specific steps users must take to complete a single task such as ordering a book online, checking medical test results, or recording an application for government assistance as shown above. With the research, personas, scenarios, and task flows in place, you’re ready to begin the wireframes. The methods described here are important steps in the UX Design process and should not be overlooked in the interest of a rush to production. The good news is that organizations with a sustained commitment to user experience will likely have a wealth of previous research and well-developed personas for at least some user groups. With this information in hand, you will may well be able to start with new scenarios and work forward from there.